A Help to Buy equity loan could help you buy a pricier property – but will it cost you more in the long run? The latest government figures show that 183,947 people in England – including 148,863 first-time buyers – bought a property with a Help to Buy equity loan between 1 April 2013 and 30 June 2018. However, more than five years on from the launch of the Help to Buy scheme, significant problems have started to emerge with remortgaging these deals. Meanwhile, 95% mortgages have become more readily available and rates have become extremely competitive. So which option makes the most sense for first-time buyers now? Here, we explore the availability, cost, and pros and cons of the Help to Buy equity loan scheme – and compare it to traditional 95% loan-to-value (LTV) mortgages. If you’re buying your first home and want advice on the best financial option for you, including Help to Buy mortgages and 95% deals, call Which? Mortgage Advisers on 0800 197 8461. The Help to Buy equity loan scheme allows buyers to combine a 5% deposit with a government equity loan of up to 20% (40% in London) of the property value, meaning you can take out a mortgage for just 75% (55% in London) of the purchase price. The scheme was introduced to help first-time buyers with small deposits and home movers with low equity trying to get on, or move up, the property ladder at a time when 95% loan-to-value deals were scarce. But more and more providers have launched products aimed at those with a small deposit since then. Moneyfacts data shows that the number of 95% LTV deals on the market has soared from 159 in January 2015 to 277 in January 2019. What’s more, 95% mortgages have got much cheaper. In January 2015 the average two-year fixed-rate 95% deal cost 5.16%, but it has now dropped to 3.49%. So, with more choice in the market for first-time buyers, it’s worth carefully considering which option is best for you. In the tables below we’ve taken a look at the best initial rates on the market for Help to Buy mortgages and traditional 95% LTV mortgages, to see how the costs compare. In the two-year fixed-rate mortgage market, the difference between the cheapest Help to Buy mortgage at a 75% LTV and a 95% LTV mortgage deal is 1.16%. If you were to take out a £125,000 mortgage with a 25-year term, that would mean that in the first two years you’d pay £505.22 a month on the 75% deal or £576.64 on the 95% deal. Source: Which? Money Compare. *Intermediary deals are only available via mortgage brokers such as Which? Mortgage Advisers. It’s a similar situation when looking at five-year fixed-rate mortgages, with a 1.4% difference between the cheapest Help to Buy 75% mortgage and a 95% mortgage. On a £125,000 mortgage taken out over 25 years that means monthly repayments of £ £527.99 a month with a Help to Buy mortgage or £617.10 a month for a 95% deal over the initial five-year period. Source: Which? Money Compare. *Not available across the whole of the UK. While Help to Buy mortgages are overall still cheaper than 95% LTV deals, there are some significant downsides to taking out an equity loan which you should consider before jumping in. Help to Buy costs jump after five years: the Help to Buy equity loan is interest-free for the first five years. But from year six, a fee of 1.75% is charged on the loan, which rises annually by the Retail Prices Index (RPI) measure of inflation plus 1%. So you will need to factor in both your Help to Buy mortgage repayments and the interest on the Help to Buy equity loan if you don’t pay it back within five years. You may end up paying back more than you borrowed: the equity loan is for a percentage of the property’s value, rather than the cash sum originally loaned to you. This means that, if your home’s value increases, so will the amount you have to pay back. If you sell before repaying the loan, you’ll have to use the proceeds to pay off your mortgage plus the government loan, which might not leave you with much left over to buy your next place. With a 95% LTV mortgage, you borrow a set sum. So as you start to pay down the mortgage debt your share of the equity will grow as long as the value of your home stays the same or rises. You can’t buy a period property with Help to Buy: the Help to Buy equity loan is restricted to new-build properties, whereas with a traditional 95% LTV mortgage you can expand your search to include older homes, too. By not restricting yourself to new-builds, you may be able to find a cheaper property in the area you want to live in. Use our area comparison tool to find the best place to live. You might pay a ‘Help to Buy premium’: new-build properties tend to cost more than equivalent older homes, and some critics have argued that the difference is even greater with Help to Buy properties. The price paid by people using the Help to Buy scheme has also risen steeply over the past few years. 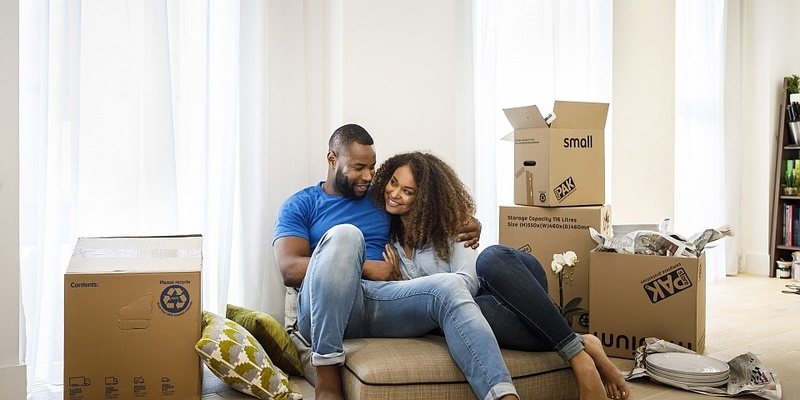 According to government figures, the median purchase price of a first-time buyer Help to Buy home was £256,995 in England over the second quarter of 2018, up from £245,000 over the same period the year before. Remortgaging with a Help to Buy equity loan might be tough: when remortgaging a Help to Buy deal, the outstanding equity loan owed to the government could be an issue. Which? research has found there are few lenders offering Help to Buy remortgaging products and some will only allow you to remortgage if you pay off the full equity loan when you do so. To remortgage you’ll also need to pay legal and valuation costs and get permission from the Help to Buy agent. Find out more: for more on the pros and cons take a look our guides on the Help to Buy scheme and 95% mortgages. If you want to a buy a home with a small deposit and would like a free chat with an expert about the best option for you, call Which? Mortgage Advisers on 0800 197 8461 or fill in the form below for a free callback.